Divorce considerations often include some form or alimony or spousal support. Alimony comes in many forms in New Jersey, but all have the potential to be terminated based on a specific set of circumstances. 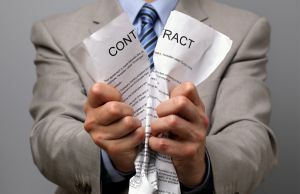 Many individuals who are drafting agreements or have already entered into alimony agreements are still unclear about when these agreements are ended, what factors play into termination, and how the different types of arrangements can come into play. At The Bronzino Law Firm, our alimony termination lawyer has extensive experience drafting, enforcing, modifying, and terminating alimony agreements. Our smaller firm size allows us to offer highly personalized legal service while charging fair and reasonable rates. Find out why we have earned clients for life in Ocean and Monmouth County towns including Brick, Sea Girt, Neptune, Toms River, Point Pleasant, Wall, and across all of Eastern New Jersey. Call our office today for a free and confidential consultation regarding your existing or prospective alimony agreement and how we can best serve your family law legal needs. The dependent party remarries. In this case, limited and open duration alimony agreements will immediately terminate upon the date that the former spouse enters into a new marriage or civil union. It is the responsibility of the re-marrying party to inform their former spouse and the collecting agency if applicable. This does not excuse outstanding payments due. The alimony payor or payee dies. It is also important to note that it is legally permissible for either former spouse to carry life insurance to protect themselves financially in the event of an alimony payor’s death. Manasquan Alimony Attorney Answers: What if I Can no Longer Afford to Make my Alimony Payments? While these changed circumstances are grounds for modification, they can in some cases lead to an outright termination of your alimony agreement. The nature of your changed circumstance, the degree to which the circumstances have changed, and the details of your existing agreement may all be factors. Limited Duration Alimony – as discussed previously, re-marriage, death, or change of circumstance may be grounds to terminate this type of agreement. Additionally, limited duration alimony agreements come with a set end date which is generally equal to or less than the duration of the marriage. Open Duration Alimony – open duration alimony may be eligible for termination due to re-marriage, death, or change of circumstance, but it has no pre-determined end date. Retirement is a common cause of open duration coming to an end. Reimbursement and Rehabilitative Alimony – typically reimbursement and rehabilitative alimony may not be terminated until the full amount has been paid. However, there are some situations where re-marriage may lead to an early termination. Temporary Alimony – in most cases, temporary alimony agreements only terminate when a divorce is finalized. Changes of circumstance may be considered in some cases. Alimony termination and modification attorney Peter J. Bronzino helps clients to terminate inequitable alimony agreements in local Ocean County communities such as Asbury Park, Manasquan, Sea Girt, Toms River, Point Pleasant, Wall, and all of Eastern New Jersey. Attorney Bronzino believes in an honest and communicative approach with our clients. By working together, we believe that our clients receive the best possible legal service that is personalized to address their individual needs and concerns. Our divorce and family law legal team will work tirelessly to protect your legal rights and see your case through until a favorable outcome is reached. To learn more about how New Jersey alimony laws may impact your existing alimony agreement, please contact us online or call our Brick, NJ offices by dialing (732) 812-3102 today.